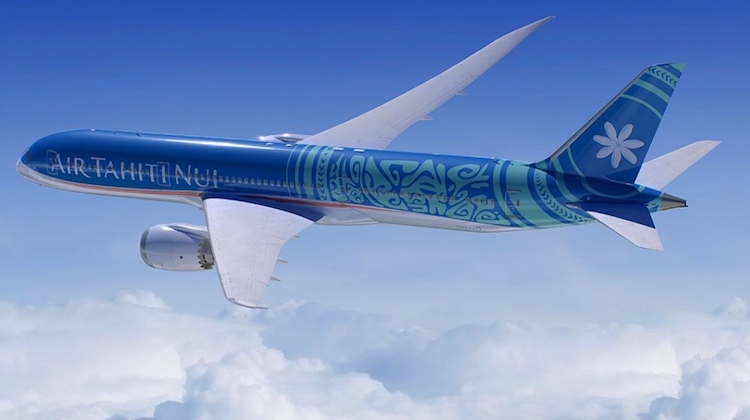 Air Tahiti Nui has unveiled the new livery that will adorn its incoming fleet of Boeing 787-9s. The airline, based in French Polynesia, has ordered four 787-9s that will be used to replace its current fleet of five Airbus A340-300s. 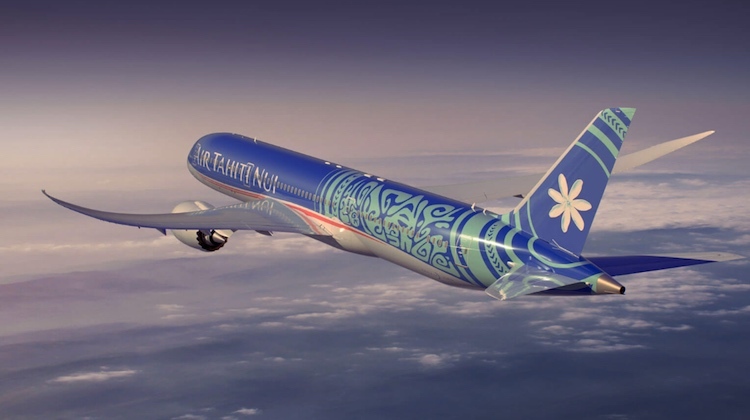 In addition to an update of the Tiare flower on the tail, the new livery features two red lines on the side of the fuselage, which Air Tahiti Nui described on its website as representing “the flag of our home, a symbol of our people and the 118 different Islands of French Polynesia”. 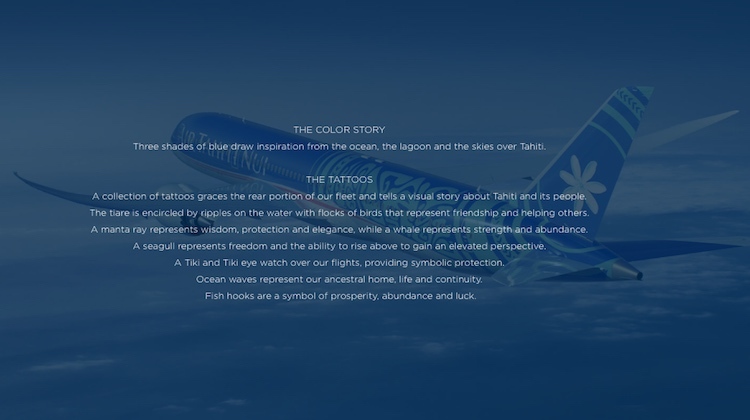 Meanwhile, the collection of tattoos on the rear portion of the fuselage “tells a virtual story about Tahiti and its people”. Further, Air Tahiti Nui said it include the following in the registrations of the four 787-9s – MUA, meaning forward (F-OMUA), NUI meaning big (F-ONUI), VAA meaning canoe (F-OVAA) and TOA meaning warrior (F-OTOA). “Woven together our fleet names have a hidden meaning: The warrior (TOA) going forward (MUA) in the great (NUI) canoe (VAA)!” the airline explained. Air Tahiti Nui has said previously that of the four 787-9s, two airframes will be be acquired via leasing companies and two direct from Boeing. First delivery was expected in the fourth quarter of calendar 2018, in time for the airline’s 20th anniversary celebrations in November. It currently operates three routes from Tahiti – Papeete–Auckland, Papeete-Tokyo Narita and Papeete-Los Angeles-Paris Chales de Gaulle. 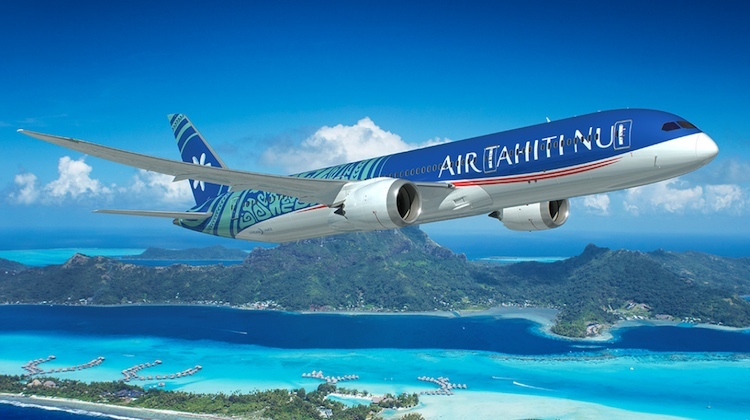 Schedules published by the AirlineRoute website showed Air Tahiti Nui would commence 787-9 operations on November 7 on the Papeete-Auckland and Papeete-Los Angeles routes. The 787-9 will be configured to carry 294 passengers, with 30 lie-flat seats in a business class, 32 in premium economy in a 2-3-2 layout and 232 in economy at nine abreast. The airline has chosen General Electric GEnx engines for its Dreamliner fleet. There is seat-back inflight entertainment and inflight internet Wi-Fi. By contrast, Air Tahiti Nui’s A340-300s have 32 business class seats laid out in 2-2-2 configuration, 264 in economy at eight abreast and no premium economy for a total of 296. Maybe it cane down to the dollars. Like everything else in Aviation. I think the colours look very nice on Air Tahiti Nui’s Boeing 787-9’s! I find it very smart how they gathered the fleet names and their ‘secret’ meaning. Well done! Air France uses 787 as well. It is about money, not loyalty for the most part. Hopefully they’re introducing a new cabin up the front to replace the geriatric setup on the 343’s. Hope they return to Sydney and not just seasonally. Going via Auckland to connect is inconvenient and time consuming.